Appleton OZ Gedney Spec 5 type LB conduit body of trade size 2-inches, is suitable for rigid and IMC conduits. It provides access to conductors for pulling, splicing, maintenance and future changes/upgrades. It permits connection of straight conduit runs, branch conduit runs and 90-degree bend. Conduit body is suitable for use in Class I, Division 2 hazardous locations. It measures 10.56-Inch x 4.63-Inch. 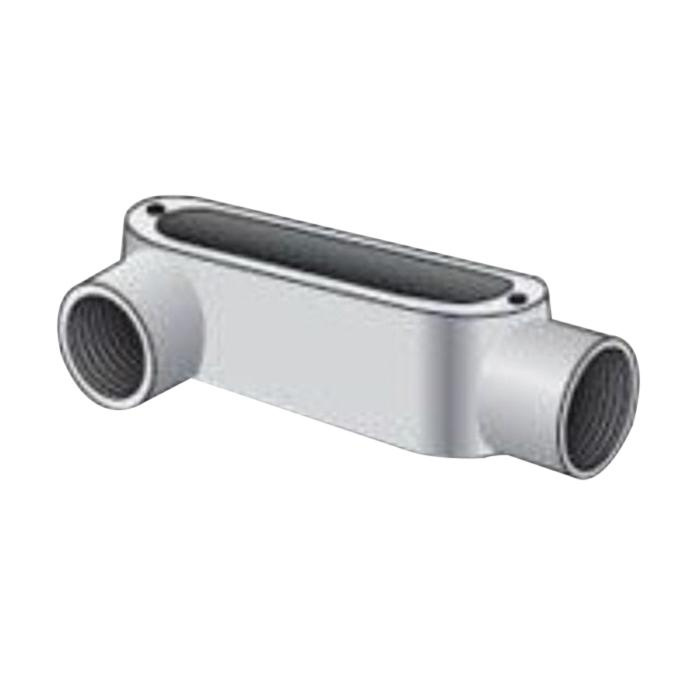 This threaded conduit body features malleable iron construction with hot-dip galvanized finish. It has internal volume and maximum wire markings on castings. This back access conduit body has two 90-degree hubs and 73-Cubic-Inch capacity. Conduit body is UL listed, CSA certified and meets Federal specifications as well as NEMA standards.